We all learn from our mistakes — hopefully! 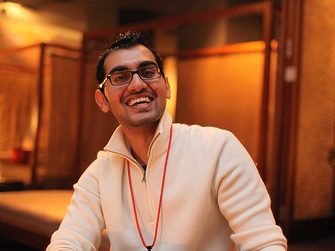 Neil Patel, who describes himself as a “serial entrepreneur,” has compiled a list of the 17 things he wishes he’d known when he went into business. He offers them up in a blog entry on Geekwire so that you can avoid making these mistakes yourself. Here are a few of favorites bits of advice from Neil’s list, with my comments. I encourage you to go to his blog posting to see how these issues played out in his early attempts at business, before he became enormously successful at a very young age. •Solve Problems Customers Are Facing You need a reason to be in business, and it has to be to serve a need that shoppers have rather than to fulfill your own desire or interest. Of course if those spheres overlap, you are more likely to succeed! •Do It in a Simple Way Don’t overextend yourself when you are starting out. You can always add a coffee bar or home delivery later! •Be Patient Stores hardly ever open the day they think they will, and once you open it can take a long time to build up a loyal customer base. One day at a time! •Charge More Retailers traditionally have relied on keystone markup, or doubling the wholesale cost to arrive at the retail price. This is not a viable system in today’s world, so you need to find some products or services that can increase your profit margin. •Conserve Cash There will always be unexpected costs involved in starting (and running) a business, and you don’t want to end up using credit cards to finance your inventory or expenses. •Focus You can’t be all things to all people. Come up with a mission statement that states in just a few words what your business will focus on — and use this as a guideline in making buying and other major decisions. •Always Find Your Passion If your small business succeeds, you will be in the same job for a really long time. Make sure it’s something you love. •Learn, Learn and Learn Some More It’s a good sign that you’re reading this posting, because it shows that you appreciate the fact that we can never know everything there is to know about our field of endeavor! If you enjoyed Neil’s blog entry, you might want to sign up to receive his weekly thoughts by subscribing to Quick Sprout. What do you wish you’d known when you started your business? Please feel free to add it below so that others can learn a lesson from you.